habitual criminals who saw benefit in a mobile existence. Their statistics are sparse and vague, but show that in Victorian England, as a whole, there were on average 35,000 people 'on the tramp' at any one time and 90% of them were assessed by the authorities as being 'undeserving scroungers and wasters.' At night, the majority slept either in common lodging houses for a few pence a night, or in doorways, alleys, hedgerows and fields, although the Vagrancy Act of 1824 made the latter an offence (as it is, to this day). A smaller number, some 6,000, sought shelter at the Poor Law Union workhouses around the Country. The Unions, managed by their elected Boards of Guardians, were obliged to provide food and accommodation to anyone in case of 'sudden and urgent necessity' in exchange for completion of defined tasks of work that included oakum-picking, stone-breaking, cleaning and gardening. These 'Casual' inmates were given shelter in the workhouse, but in separate Wards to minimise disruption to the main House. The purpose of this page is to outline the legislation regarding vagrancy and to present a transcription of the Aylsham workhouse documents that record the admissions to and discharges from the Aylsham Casual Ward during the last three decades of the 19th Century. 11,600 people passed through the Ward during that period. Also see Further Reading at the foot of this page. The 1834 Poor Law Amendment Act had little to say about Casuals and it was left to the Unions to decide how to handle them under the general 'necessity' clause above. There is no mention in the minutes of the Aylsham Union Guardians' Board meetings of how the Casuals were dealt with, but it's probable that the Probationary (Receiving) Wards were used until 1850 for both sleeping and eating to avoid 'contamination' of the main workhouse areas. It was an unsatisfactory arrangement that was recognised by the Poor Law Commisioners in 1841 when they wrote to the Board. Long sentences and liberal use of capitals were a feature of the Victorian period. The Clerk read to the Board a Letter from the Poor Law Commissioners with Reference to the Fact of Vagrants making it a Practice of making an Asylum of Union Workhouses for the Night, leaving the same early the following morning and from their uncleanly Habits introducing into those Asylums Diseases of an infectious and dangerous Character and suggesting to the Board the propriety, with a view to counteract such burdensome and dangerous Practice, of claiming of such Persons, in Return for the Food and Lodging supplied to them, a certain Amount of Labour before they are allowed to leave the Workhouse on the following Day and also suggesting that the Cost of the Maintenance of such Vagrants be made a Union Charge and not a Charge upon the Parish in which the Workhouse happens to be situate. Just after that, in 1842, it was enacted that Unions might 'prescribe a task of work to be done by any person relieved in any workhouse in return for the food and lodging afforded to such person' and (implicitly) might detain the person until the task was done, but detention was not to exceed four hours after breakfast on the day following admission. Refusal or neglect to perform the task, or causing wilful damage to property, would make the miscreant an 'idle and disorderly person' within the meaning of the 1824 Vagrancy Act. A Letter is read to the Board from the Poor Law Commissioners referring the Guardians to the 5 & 6 Vict: Cap. 57 by which it is lawful for them to prescribe a Task of Work in return for Relief in the Workhouse - and enquiring whether the Guardians had with reference to Article 10 Sec: 7 of the Workhouse Rules made any Regulation for work to be performed by casual Poor Wayfarers and Vagrants admitted to the House and the Clerk is directed to state in Reply that this Board had at present prescribed no Task of Work in return for Relief or made any Regulation for work to be performed by casual Poor &c.
A Letter is read from the Poor Law Commissioners respecting the Admission of Vagrants into Buxton Workhouse at once into the Receiving Wards, which they consider objectionable and that no Task of Work had been prescribed for this Class of Paupers. The Clerk is directed in reply to state that the Number of this Description of Paupers admitted into the Workhouse having been hitherto so small and the Attention of the Guardians have not been called to the Fact of their Admission which is but temporary. Pumping of water for the use of the House is the Task required by the Master before a Meal is given to Vagrants. The bedding provided for vagrants should be sufiicient for warmth, but may be inferior in quality and character to that used for the other inmates of the house. Except in severe weather, it is not desirable to allow a fire in the vagrant ward. Wet clothes may be dried and returned to the wearer on the next day, he being accommodated in the meantime with old clothes from the workhouse store reserved for this purpose. No smoking or card-playing should be permitted in the vagrant ward. It is scarcely necessary to add that the Medical Officer should be called in to visit any vagrant alleging that he is sick; and that immediate attention should be paid to his wants. they often refused work or committed other offences for the express purpose of being sent to prison. The opinion of the Inspectors was that a closer connection between the Poor Law authorities, the police, and the prison administration should be brought about, and that the treatment of vagrants should be uniform across the country. However, in the absence of firm and formal regulations, it was left to the hapless Guardians and their Officers to deal with the problems as best they could 'to relieve the destitute and to repel the impostor' (in the words of the Poor Law Board). To the Honourable the Commons of the United Kingdom of Great Britain and Ireland in Parliament assembled, The Petition of the Board of Guardians of the Aylsham Union, agreed to at a Meeting of the said Board on the 6th Day of February 1849. That your Petitioners view with Regret and Alarm the increased and still increasing System of "Pauper tramping," an Evil which is not confined to the District of the Aylsham Union, or any particular Locality, but grievously felt throughout the Country. They consider the Practice as bearing a very serious Aspect, tending to the Encouragement of overwhelming Numbers in idle and vicious Habits, sowing the Seeds of unsocial, immoral and physical Disasters, to the Annoyance of Persons, and the Endangerment of public Health to a Magnitude serious to contemplate. Whilst your Petitioners would gladly assist the deserving "casual Wayfarer" in his pursuit of Labour, they consider it a manifest Injustice that the Funds of the Union should be taxed to support Bands of itinerant Idlers, bent on Vagrancy for a livelihood. That such is the Case in the Majority of Instances, and that the Parties are not only Filthy in their Habits, but to a great Extent loaded with infectious Diseases is clearly manifest to the Officers of this Union, and satisfactorily stated in the Reports presented to your Honourable House during the last Session of Parliament. Your Petitioners are fully Sensible of the advantages to "Public Health" contained in the various Provisions of your Honourable House, recently brought into Force, but so long as the manifest Evil is allowed to exist of masses of wretched Beings prowling about the Country, spreading Infection in every Quarter, the Exertions as to public Health will fall far Short of what might otherwise be accomplished. Your Petitioners proceed to state that in this Union up to the year 1840, Applicants for such Relief were very few indeed, and from that Time to the present, and particularly during the last four years, the numbers have increased to a considerable Extent. In Conclusion, your Petitioners pray your Honourable House, that you will be pleased to give the Subject your immediate Consideration, so that Remedies may be devised to meet the Evil complained of. And your Petitioners will ever pray &c.
Men. 3 lbs. daily each. Women. 2 lbs. daily each. Resolved and ordered that Two Tons of Junk <old rope> be purchased in Yarmouth by Mr. James Brown of Itteringham for picking into Oakum by the Inmates of the Workhouse. Resolved that a suitable Building be forthwith erected for the Purposes of a female Vagrant Ward in an opposite Position to that lately provided as a male Vagrant Ward <not mentioned previously> but at an Expense not exceeding the Costs of providing the latter Ward. The first Aylsham Vagrants' log book and its earliest entry; William White, a Butler. In later editions of the book the word Casual was used rather than Vagrant. Under the Pauper Inmates Discharge and Regulation Act of 1871, in an effort to make the regime less attractive, no Casual pauper was allowed to leave until at least 11 a.m. on the day after he arrived, and then only after completing his task. Where a Casual had been admitted on more than two occasions during a single month into the same Union, he would not be allowed to leave before 9 a.m. on the third day after his admission. 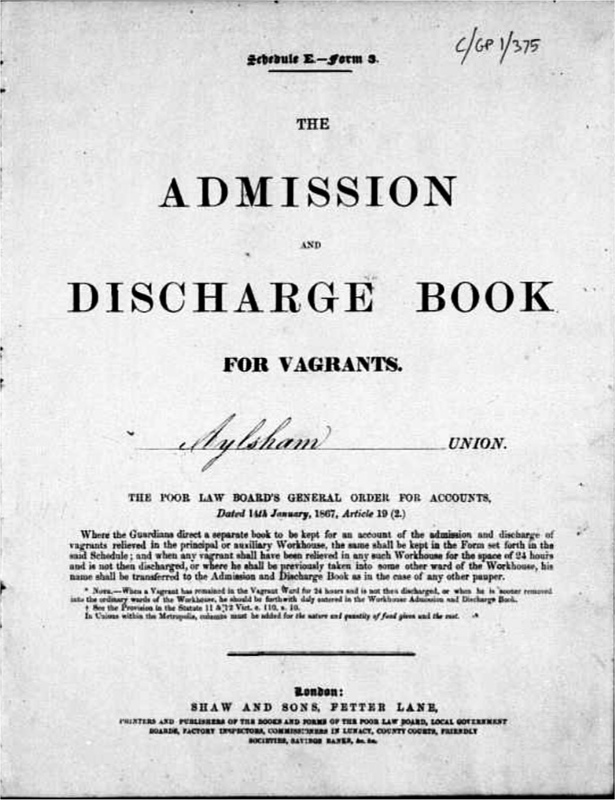 These changes were reflected in the layout of the Admission and Discharge books, with more columns added to show how many days were spent in the workhouse. 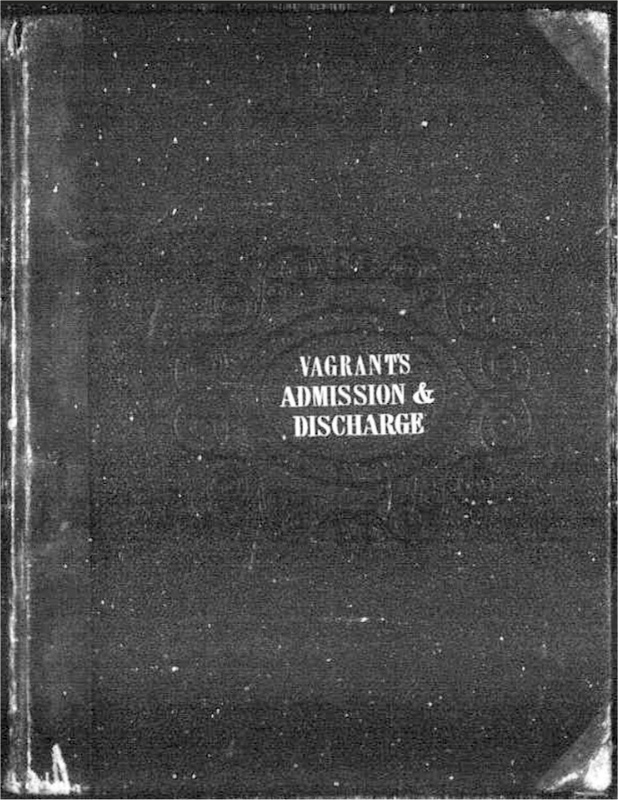 A further change came ten years later when, under a new General Order issued in December 1882, casual paupers were not entitled to discharge themselves from the Casual ward before 9 a.m. on the second day following admission and, where a Casual had been admitted on more than one occasion during a single month, he could not discharge himself until after 9 a.m. on the fourth day after admission. Admission to the House was not allowed before 4 p.m. in winter and 6 p.m. in summer. On entry, the Casuals were to be searched and any money and articles found on them were taken away. They were then to be bathed, their clothing dried and disinfected, and a nightshirt supplied to them. There was a proviso in the Order that the period of detention could be dispensed with in particular cases (e.g. when travelling to take up work) - a loophole that allowed Guardians to make the exception the rule by not detaining any vagrant for more than one night. Then, as now, it was common for institutions to bend the rules and modify their routines to suit the convenience of their staff. This was generally the case at Aylsham, as the transcription shows. From 1892 onwards, the casuals seeking work had the right to claim discharge on the second day after admission from 5.30 a.m. in the summer and 6.30 a.m. in the winter, provided that the task of work had been completed satisfactorily. The rest of the Aylsham documents have also been placed under the web page headings in a rather haphazard fashion and it took me a while to work out the structure, which I've documented in this table (a PDF file) as an aid for other researchers. There are no first-hand accounts or inspection reports that might describe in detail how Casuals were treated at Aylsham, but it's possible to get a general impression from books and pamphlets that were published at the time. Some members of the Victorian middle-class disguised themselves to mingle with the Casuals and experience workhouse conditions, writing up gritty accounts for a public that liked to be shocked. 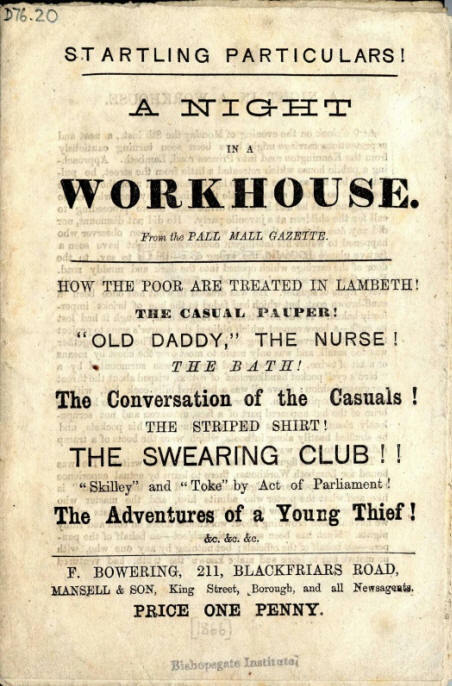 The better known publications concerned the workhouses, doss-houses and charity shelters of London and bore lurid covers, like this example. "The porter went his way, and I followed Daddy <pauper assistant> into another apartment, where were ranged three great baths, each one containing a liquid so disgustingly like weak mutton broth that my worst apprehensions crowded back. 'Come on, there's a dry place to stand upon up at this end,' said Daddy kindly. 'Take off your clothes, tie 'em up in your hank'sher, and I'll lock 'em up till the morning.' Accordingly I took off my coat and waistcoat, and was about to tie them together, when Daddy cried 'That ain't enough, I mean everything.' 'Not my shirt, Sir, I suppose?' 'Yes shirt and all; but there, I'll lend you a shirt,' said Daddy." "The moment Daddy's face was turned away I shut my eyes and plunged desperately into the mutton broth. I wish from the bottom of my heart my courage had been less hasty, for hearing the splash, Daddy looked round and said 'Lor now! There was no occasion for that; you look a clean and decent sort of man. It's them filthy beggars that want washing. Don't use that towel, here's a clean one. Here's your shirt.' (handing me a blue striped one from a heap), 'and here's your ticket. No. 34 you are, and a ticket to match is tied to your bundle. Mind you don't lose it. They'll nail it from you if they get a chance. Put it under your head. This is your rug - take it with you.' "
"From the moral point of view, however, the wakeful ones were more dreadful still. Towzled, dirty, villainous, they squatted up in their beds, and smoked foul pipes, and sang snatches of horrible songs, and bandied jokes so obscene as to be absolutely appalling. Eight or ten were so enjoying themselves - the majority with the check shirt on and the frowzy rug pulled about their legs; but two or three wore no shirts at all, squatting naked to the waist, their bodies fully exposed in the light of the single flaring jet of gas fixed high upon the wall My entry excited very little attention. There was a horse-pail three parts full of water standing by a post in the middle of the shed, with a little tin pot beside it. Addressing me as 'old pal,' one of the naked ruffians begged me to 'hand him a swig,' as he was ' werry nigh garspin.' "
Free book read/download from Archive.org. Jack London's 'People of the Abyss' (1903) give a first hand account of his experiences in the doss houses, Salvation Army shelters and Casual Wards of the East End of London and includes over 70 photographs, two of which are shown here. "At six o clock the line moved up, and we were admitted in groups of three. Name, age, occupation, place of birth, condition of destitution, and the previous night's doss, were taken with lightning-like rapidity by the superintendent; and as I turned I was startled by a man's thrusting into my hand something that felt like a brick, and shouting into my ear, 'Any knives, matches, or tobacco?' 'No, sir,' I lied, as lied every man who entered. As I passed downstairs to the cellar, I looked at the brick in my hand, and saw that by doing violence to the language it might be called bread. By its weight and hardness it certainly must have been unleavened.' "
In her book 'Glimpses of the Abyss,' Mary Higgs gives a detailed account of a five day journey on foot in Yorkshire. Dressed as a tramp, she and a companion stayed in a municipal lodging house, a common lodging house, two tramp wards and a women's shelter. Conditions seem to have been less harsh than in London; perhaps more like those at Aylsham. "The Lodge was very small, and was occupied by a male pauper, and no one else was in sight. We had to enter his hut to answer questions, which he recorded in a book, and we were then out of sight of the house. A single woman would be completely at the mercy of this man. I shall be glad to be able to expose the positive wrong of allowing a male pauper, in a lonely office, to admit the female tramps. When we first arrived at the gate he told us to wait a few minutes, as we were before time. Some male tramps came up, and we saw him send away one poor, utterly ragged man, who begged pitifully to be admitted. The lodge-keeper told him he could not claim because he had been in that workhouse within the month. So he limped away. He could not possibly reach another workhouse that night." "He let us in at five minutes to six. We thought this was kind, as he might have kept us waiting, and it had begun to rain. He took my friend's name, occupation, age, where she came from, and her destination, and then sent her on, rather imperatively, to the tramp ward. She stood at the door, some way off, waiting for me. He kept me inside his lodge, and began to take the details. He talked to me in what I suppose he thought a very agreeable manner, telling me he wished I had come alone earlier, and he would have given me a cup of tea. I thanked him, wondering if this was usual, and then he took my age, and finding I was a married woman he said, "Just the right age for a bit of funning; come down to me later in the evening." I was too horror-struck to reply; besides, I was in his power, with no one within call but my friend, and all the conditions unknown and strange." "We were given a small lading-can three parts full of hot gruel and a thick crust of bread. The latter we were quite hungry enough to eat, but when we tasted the gruel it was perfectly saltless. A salt-box on the table, into which many fingers had been dipped was brought us; the old woman said we were "lucky to get that." But we had no spoons; it was impossible to mix the salt properly into the ocean of nauseous food. I am fond of gruel, and in my hunger and thirst could easily have taken it if fairly palatable. But I could only cast in a few grains of salt and drink a little to moisten the dry bread; my companion could not stomach it at all." Read the complete book on-line at Project Gutenberg. Over the period of four months I copied the details from the Aylsham admission and discharge books into an Excel spreadsheet. For the most part the original handwriting was easy to transcribe, although there were a few cases where words were illegible and different characters were formed in a similar way (e.g. 's'/'t' and '3'/'5'). In cases of doubt I have shown the part of the image that gave trouble and coloured the query in red. 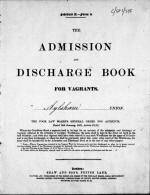 In the 'day discharged' column, plus 1 = 1st day after admission, plus 2 = 2nd day after admission etc. Names should have been entered in the books as Surname followed by Christian name, but the Master and/or Porter slipped up occasionally. I think I found and corrected most errors, but one or two may have slipped through the net. The files are sized for landscape A3 to accommodate all columns. Spelling mistakes (mostly place names) have not been corrected. 12.0 AM = midnght, 12.0 PM = midday. 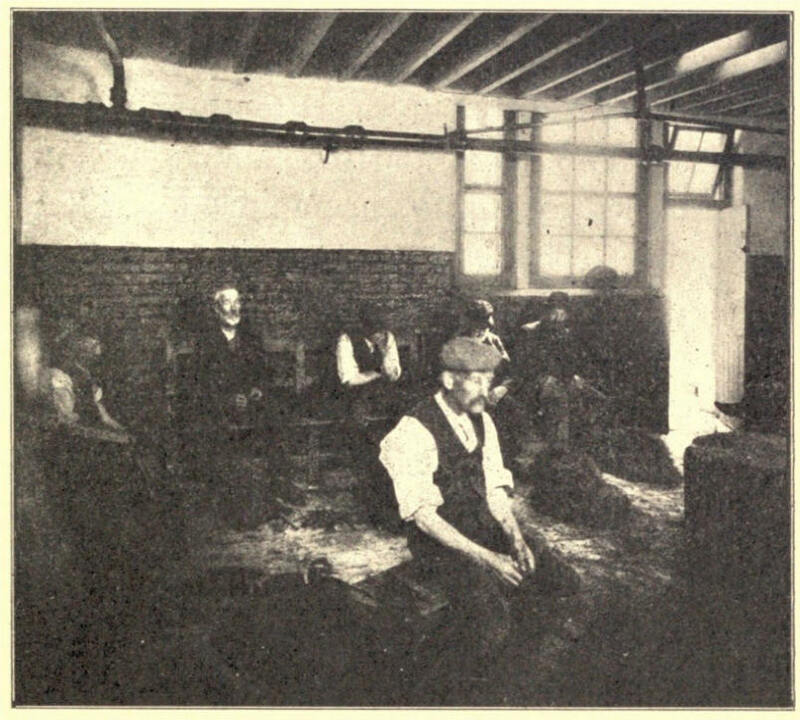 Some of the Casuals would have used fictitious names, occupations and ages to try and conceal their identities; not only because they might be wanted by the authorities, but also it was a way to get round the penalties that existed for visiting the same workhouse more than once a month. An experienced Porter would probably have been able to recognise the regulars, but might not want to raise issues that could cause aggravation. A futher ruse would have been to hide what money and possessions they had before entering the House, perhaps in farm buildings or in hedgerows, to avoid confiscation or theft. Soon after I started transcribing, I noticed that particular names cropped up regularly, showing that there were people constantly on the move around the County, mainly travelling between the Union workhouses and the larger towns that had common lodging houses. 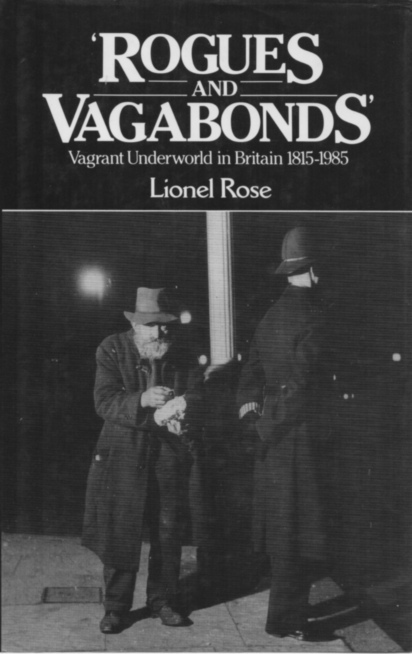 It came as no surprise, because the contemporary accounts and official reports from the period make frequent mention of these 'bands of itinerant idlers' who were allegedly 'bent on vagrancy for a livelihood.' What I did find shocking was that whole families fell into that category, as well as single mothers with 3 or more children in tow. Take bricklayer Charles Jarvis as an example. He, his wife Mary Ann and their six children first appear on the books in April 1888 when the youngest, Lily, was just 2 years old. The family's last stay at Aylsham was in October 1894, but Charles made his final (solo) appearance in October 1897. Then there was Matilda Manton. She and her five children were in and out of the Aylsham House between March 1888 and March 1895, spending part of that time at Swaffham workhouse. By the time of the 1901 Census she was at the workhouse in Luton Union, but had shifted to the Lincolnshire Stamford Union by the time she died that Autumn. Her age and the ages and names of her children varied over time. Norwich 3592 31% 13 miles Norwich Incorporation workhouse in Bowthorpe Road after 1859. Beckham 2875 25% 11 miles Erpingham Union workhouse at West Beckham. Smallburgh 963 8.3% 11 miles Smallburgh Union workhouse. Cromer 736 6.4% 10.5 miles No workhouse. Walsingham 683 6% 19 miles Walsingham Union workhouse. Great Yarmouth 363 3.1% 32 miles Yarmouth Union workhouse in Northgate Street. Holt 328 2.8% 12 miles No workhouse. King's Lynn 276 2.4% 42 miles King's Lynn Union workhouse in Extons Road. Sheringham 183 1.6% 15 miles No workhouse. The great majority of the men professed to be labourers, but the entries didn't differentiate (except in just one two cases) between agricultural and general workers. After Charwoman, the main women's occupations were Laundress, Fieldworker and Needlewoman/dressmaker. 1. A History of Vagrants and Vagrancy by C.J. Ribton Turner, published 1887 by Chapman Hall Limited. Archive.org free read/download. 2. Manuals of the Duties of Poor Law Officers: The Master and Matron of the Workhouse, published 1869. Archive.org free read/download. 3. The Vagrancy Act of 1824. Download.